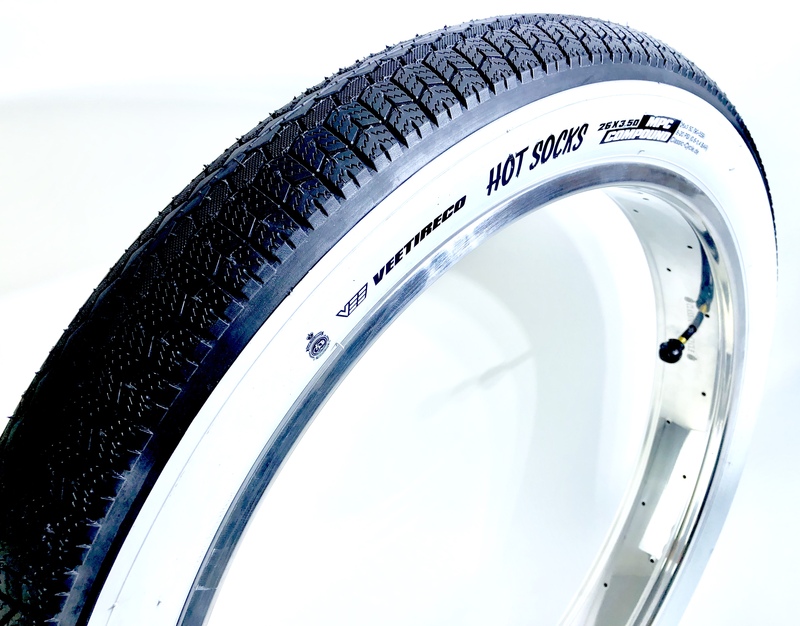 Product information "Tire Cruiser / Fat Bike Classic Cycle Hot Socks 26 x 3.5 90-559 whitewall"
72 TPI = Lightweight and strong! About 98 mm (~3,86 inches) wide on a 82 mm (~3,23 inches) rim. About 123 mm (~4,84 inches) wide on a 132 mm (~5,20 inches) rim. This tire fits on all 26" Classic Cycle rims from 60 to 132 mm (~2,36 - 5,20 inches) width! But please check frame/fork for clearance! 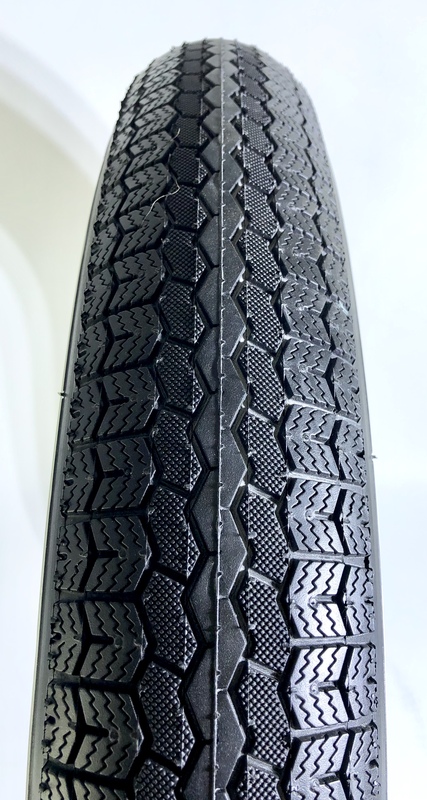 The pictures shows the new Hot Socks Tire assembled on a 82 mm (~3,23 inches) wide rim. Diameter complete: 730 mm + / - 20 mm (~28,74 +/- 0,79 inches) concerning to pressure and rim diameter. If you assemble the tire on extra wide rims not to put more pressure than 16 PSI. It could blast. 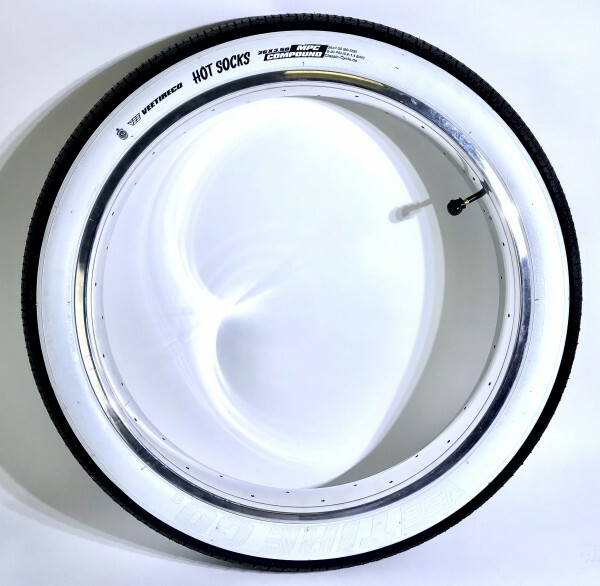 Related links to "Tire Cruiser / Fat Bike Classic Cycle Hot Socks 26 x 3.5 90-559 whitewall"
Customer evaluation for "Tire Cruiser / Fat Bike Classic Cycle Hot Socks 26 x 3.5 90-559 whitewall"